A cataract is the natural thickening and cloudiness of the intraocular lens that causes blurred vision, halos and glare for patients at various distances. Dr. Matt Wesson & Dr. Sonya Miles perform outpatient cataract surgery at both the Tupelo Surgery Center, our Medicare-approved on-site surgery center and at Northeast Mississippi Medical Center. With today's advanced lens implant technology, the patient may now choose from various styles of lens implants from traditional implants to more premium, focusable or multifocal implants to reduce the dependence on glasses for distance and near vision after cataract surgery. Some patients may even benefit from toric lens implants to reduce astigmatism at the time of cataract surgery. Among the premium lens implants used at Wesson and Mothershed Eye Center are Alcon's Restor, Bausch and Lomb's Crystalens and the Tecnis Multifocal. To find out if you are a candidate for one of these lens implants prior to your cataract surgery, please call our office. Are you the kind of person who hates carrying their readers? While many wear their eyeglasses on a daily basis, presbyopic patients often juggle two pairs of eyewear wherever they go. Whether they wear contact lenses or single vision lenses, a pair of reading glasses is often buried in one’s purse or jacket pocket. Progressive lenses can reduce the need of juggling two pairs of glasses, but the yearly or bi-annual replacement for high end progressives can be costly. 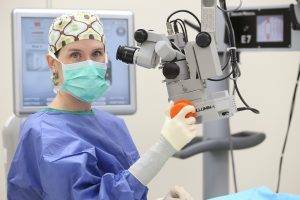 Today, a new technology called multifocal IOLs are available for cataract surgery candidates. Not only do multifocal or premium IOLs act as a permanent solution for your eyewear problems, but many patients report better quality vision, such as when going swimming, playing sports, and driving. 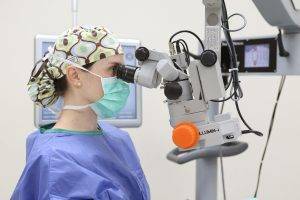 If you’re unsure if you’re a candidate for cataract surgery, our office provides a glare to test to identify whether your insurance will provide coverage or not.